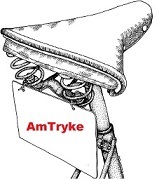 Amtryke offers various seating options and sizes for additional support, such as hip stability. Seats are made of comfortable easy-to-clean polypropylene and/or molded plastic. Appropriate seating systems also include chest and/or lap belts.